Posted in: Media Release, Missing, Update, WANTED. Tagged: Guerra. 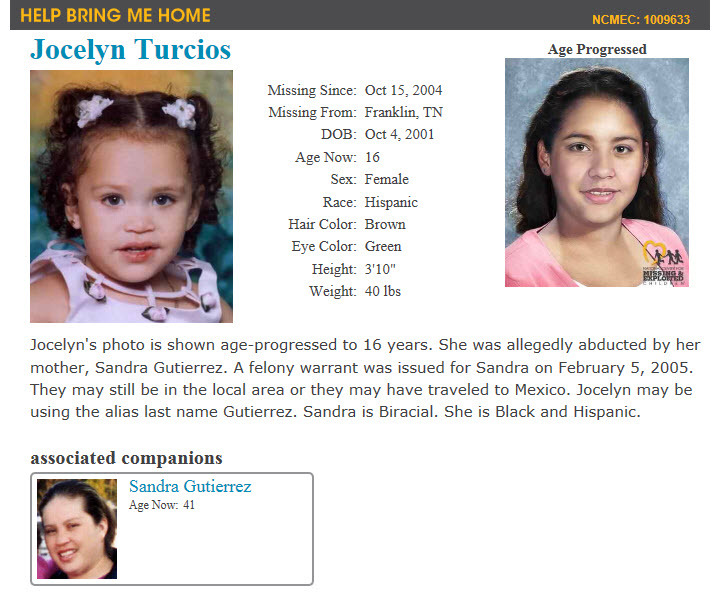 Jocelyn’s photo is shown age-progressed to 16 years. She was abducted by her mother, Sandra Gutierrez. A felony warrant was issued for Gutierrez on February 5, 2005. They may still be in the local area or they may have traveled to Mexico. Jocelyn may be using the alias last name Gutierrez.